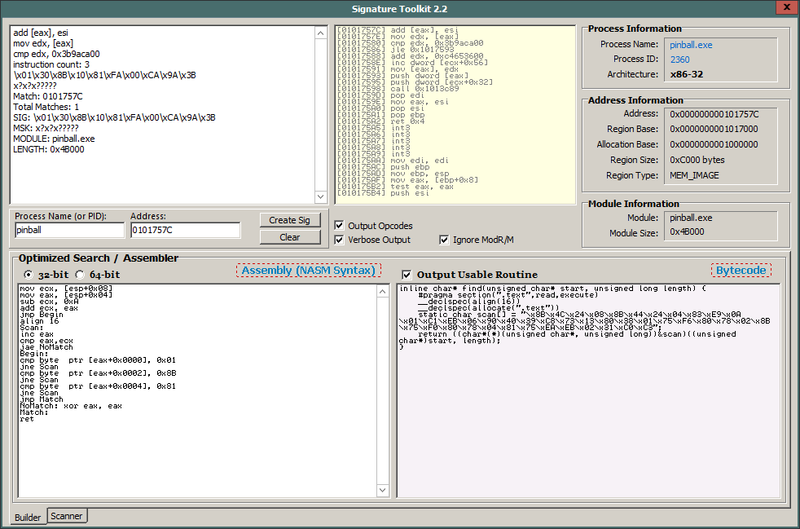 Signature Toolkit supports signature generation for x86-32 and x86-64 processes. 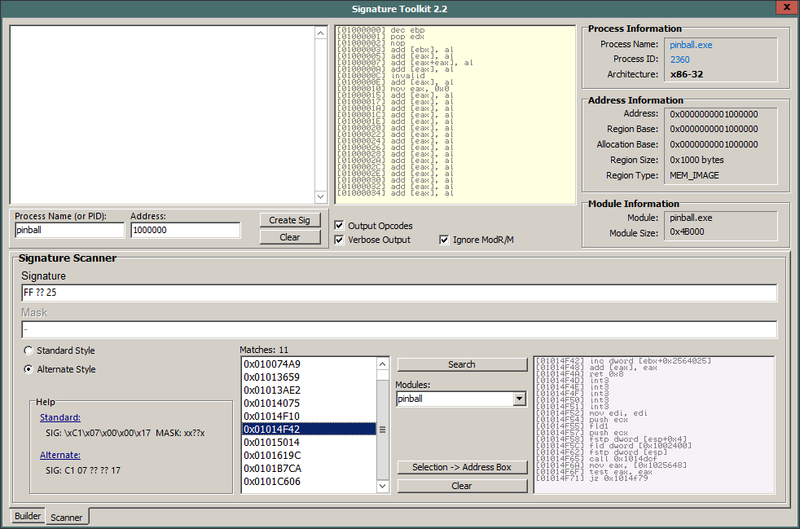 Optimized search compiler also supports x86-32 and x86-64 processes. When searching for a signature, identify a process using an executable's name, base-10 processID or base-16 processID (with preceeding 0x) in the Process Name field. Calculation of the optimal signature length is performed automatically and requires no interaction. The toolkit now can generate and assemble x86-32 and x86-64 optimized assembly for lightening fast searches. Check Output Usable Routine to receieve the optimized search function in a format callable in your C code. Or if you prefer the raw bytecode, leave it unchecked.